The Companion Therapy Laser is an amazing treatment option. It works by sending light energy to the affected area creating a chemical change called photo-bio-modulation. This promotes natural healing and repairs tissue. We can also relax and comfort a patient with arthritis. Our staff can individualize the number of treatment sessions needed to restore your pets health. 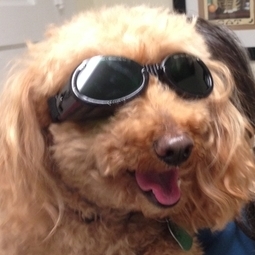 If you are interested in laser therapy for your pet please call the office today to setup an appointment. You can also click the link high-lighted above to find out more information.